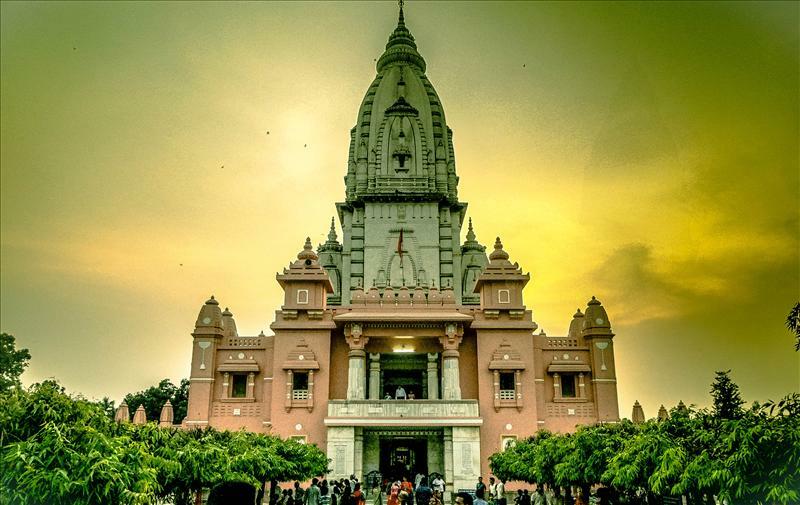 Located on the banks of the “sacred” River Ganga in Varanasi in Uttar Pradesh is a temple called Kashi Vishwanath. This temple is considered to be one among the twelve “Jyotirlingas” that exist in the country. Such is the importance of this temple in Hinduism that it plays a major role in the philosophy known as “Shaiva”. Additionally, since the year 1983 this temple has been managed by the government of Uttar Pradesh. Important travel information related to this “jyotirlinga temple” is as follows. The perfect time to visit this place is from October to March when winter sets in and the climate is extremely pleasant with, the temperature ranging from a maximum of 15 degree Celsius to a minimum of 5 degree Celsius. b. How to reach Kashi Vishwanath Temple? The Varanasi Railway Station is the nearest station to the temple. This temple is well connected to major cities and towns in the country. There are a number of regular bus services available from Varanasi that connects to many major towns and cities in the country. The nearest airport to this temple is located in Varanasi. The Varanasi Airport is well connected to major cities in the country. According to legend this temple is the site where Lord Shiva via the jyotirlinga i.e. a fiery light first penetrated through the earth’s crust and is directed towards heaven. It is also said that Lord Shiva himself resides in this temple and provides happiness and liberation to all devotees. A myth also states that the wishes of all ardent devotees of Lord Vishweshwar i.e. main deity of this temple shall be fulfilled provided their devotion is genuine. Additionally, it is also said that for all those who are brought to this temple while on the verge of death, Lord Shiva apparently recites a special mantra called the “Tarak Mantra”.